A European musician and composer sets out to capture the musical diversity of Istanbul. A lover of experimenting with sound, Alexander Hacke (of the German avantgarde band Einst�rzende Neubauten) roams the streets of Istanbul with his mobile recording studio and "magic mike" to assemble an inspired portrait of Turkish music. His voyage leads to the discovery of a broad spectrum ranging from modern electronic, rock and hip-hop to classical "Arabesque". As he wanders through this seductive world, Alex collects impressions and tracks by artists such as neo-psychedelic band Baba Zula, fusion DJs Orient Expressions, rock groups Duman and Replikas, maverick rocker Erkin Koray, Ceza (Turkey�s answer to Public Enemy), breakdance performers Istanbul Style Breakers, digital dervish Mercan Dede, renowned clarinetist Selim Sesler, Canadian folk singer Brenna MacCrimmon, street performers Siyasiyabend, Kurdish singer Aynur, the "Elvis of Arabesque" Orhan Gencebay, and legendary divas M�zeyyen Senar and Sezen Aksu. 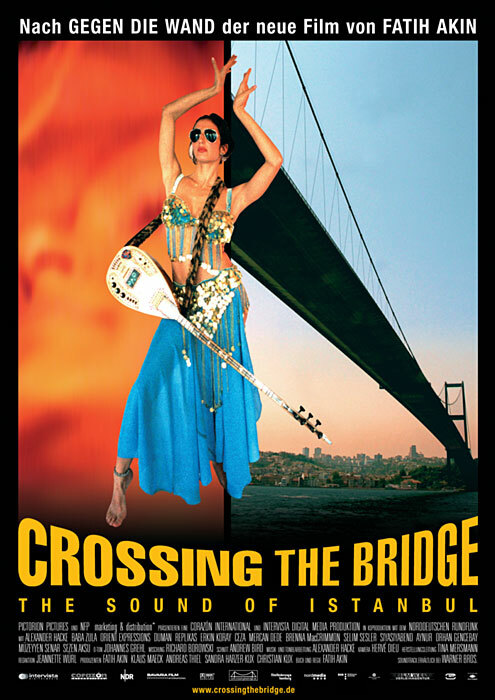 A wonderful mixture of music and the city!, 30 May 2005 Author: Derya Akkaya from Turkey By watching this film you will not only explore the "Turkish music" but will also explore the city of Istanbul with wonderful pictures and scenes from all over the important regions of the city.There are lots of delightful conversations with all sorts of musicians and their thoughts about music,culture.There is also discussions about the mixture of east and west like Istanbul has,how they make their music, how do they see themselves comparing to other country's musicians.It consists the music of Ceza,Duman,Baba Zula,Aynur,M�zeyyan Senar,Orhan Gencebay..The Turkish Queen of Music Sezen Aksu...An important work of art!